MedVan provides pre-arranged, non-emergency medical transportation. 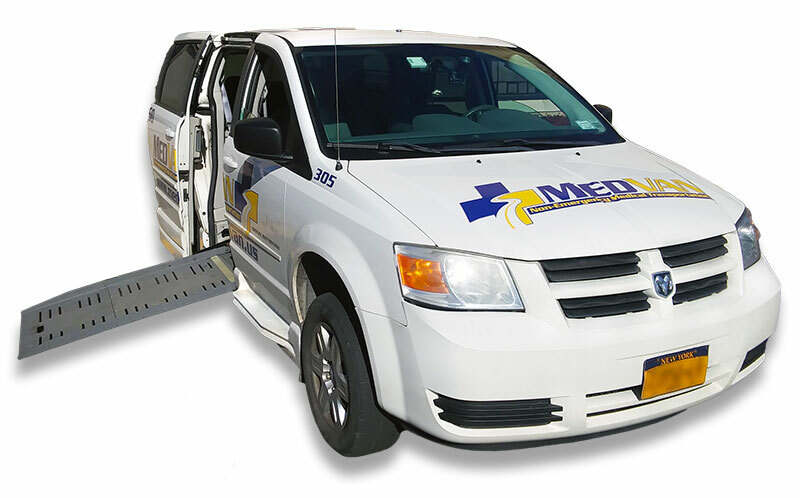 From Buffalo, Rochester, across all of Western New York to Syracuse, Central New York, South through the Finger Lakes and to Northwest Pennsylvania, MedVan is a top provider of pre-arranged, non-emergency medical transportation. Make us your first choice for clean and comfortable vehicles, professional drivers, and an efficient customer service staff available by phone 24 hours a day! Call 24 hours a day to make a reservation. Safe & reliable door to door service. MedVan provides door to door service that you can count on! We employ state of the art GPS tracking and strategic dispatching to minimize wait times for return calls, and provide prompt service across our operating region. Our courteous and professional drivers are trained, experienced, and background checked. Our vehicles are cleaned and inspected daily. Both standard shuttle vehicles and wheelchair accessible vehicles are available. Most insurances are accepted. Call (716) 685-1550 to learn more or make your reservation now! MedVan is continuously expanding our service area. Please call (716) 685-1550 any time to inquire! MedVan is a division of Buffalo Niagara Transport. Find us at BuffaloAirportShuttle.com for group transportation and general purpose shuttle service, or visit BuffaloRide.com for premium luxury car service. © 2018 MedVan, All Rights Reserved. Powered by Future Buffalo.